Only not really, because he just showed me long spindle of wax that fell out of his ear. Wax falling out of his ears is not a strange occurrence, but this one was a doozy. It was the length of his thumbnail and sort of twisted, as if someone had been trying to make it into a bead. 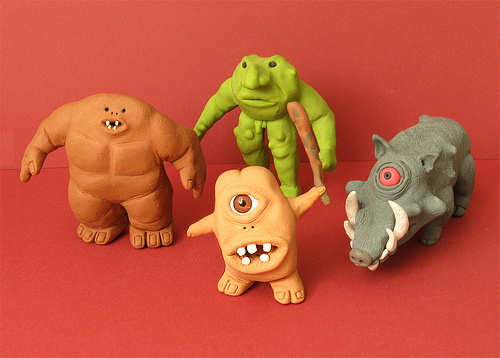 If you do an image search for "Fimo boogers," you get these lil guys. lady who would keep ear boogers in a jar, just because they’re larger than normal and look like a fimo bead from 1996. But I would. I really would. Fimo boogers courtesy of SkullMonkey5484.